Ready for take off? Ready for the flight of your life? Then its time to climb aboard, and shout "chocks away!" 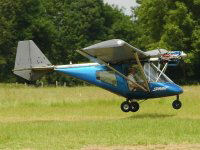 as you then soar into the air for your 30 minute microlight flight. Ready for take off? Ready for the flight of your life? Then its time to climb aboard, and shout "chocks away!" 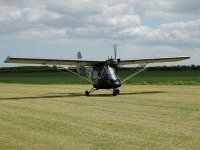 as you then soar into the air for your 45 minute microlight flight. Are you and a friend ready for take off? After a joint 30 minute briefing you will take it in turns to soar into the air for your 30 minute flight in a weightshift microlight. Don't forget your cameras. Are you and a friend ready for take off? After a jopint briefing you will take it in turns to climb aboard, and shout 'chocks away!' 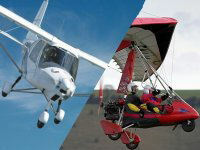 as you then soar into the air for your 30 minute 3-axis microlight flights. Don't forget your cameras. Ready for take off? Ready for the flight of your life? Then its time to climb aboard, and shout "chocks away!" 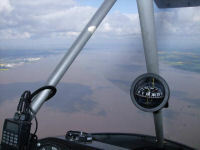 as you then soar into the air for your 60 minute microlight flight.